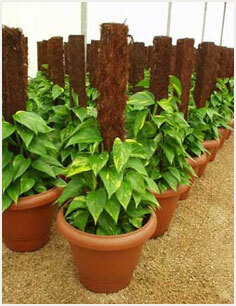 Coco coir/peat is the best alternative to mined peat moss. Coco coir is a proven natural alternative to mined peat moss, therefore, using it helps slow down peat extraction from environmentally sensitive swamps worldwide. Used as a growing medium/potting medium coco peat out performs most of the popular brands of peat and sphagnum peat.